As you gain experience in driving, you are going to find out that there is more to tires than just changing them out when they lose their treading. You also have to think about the factors that influence the rate of wear and tear on the tires you are driving on. One factor is the temperature. Certain types of tires are going to wear out faster in the weather. These are the winter tires. They wear out more quickly in warmer weather because they are designed for driving in cold weather and in the ice and snow for traction. While summer and all season tires may fair better in the summer, they are a little stiff in the winter which can cause you to easily lose traction on the road. 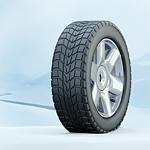 Summer tires are not safe for driving on the snow because of the stiffness of the tires and shallowness of the treads.